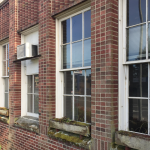 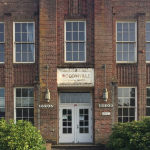 The Old Woodinville School is a city-owned building that has been abandoned due to concerns over seismic stability. 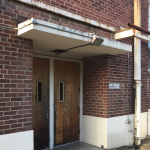 The original 1909 structure had additions designed by Fred B. Stephen and completed in 1936 and 1948 in the WPA Art Moderne style. 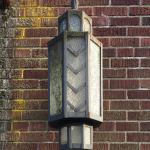 This “stripped classicism” style combines the symmetry and formality of Beaux-Arts classicism with the sparseness and careful detailing drawn from European Modernism. 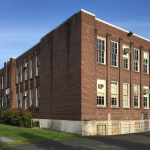 Since 2009, Mr. Rich has provided pro-bono services in consultation with local preservationists in support of rehabilitation of this local, State, and National Register-listed school building. 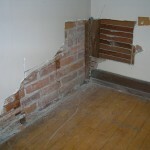 The stability of the structure was reviewed and rehabilitation strategies were developed. 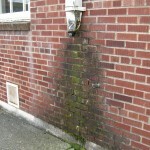 The building was found to be serviceable but the lack of occupation of the structure has led to further deterioration. 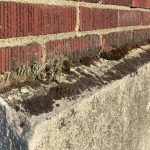 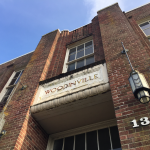 Richaven recommended several strategies to help preserve the building from further deterioration including strategies such as maintaining some heat in the building, making minor roof repairs and keeping the windows closed to prevent rain intrusion. 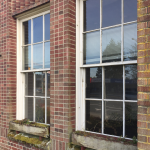 The building’s rehabilitation hinges on development of a suitable strategy for use of the building.